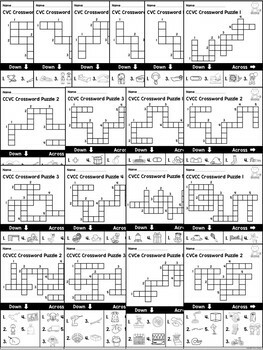 This packet includes 18 no-prep crossword puzzles that are great for your word work center. 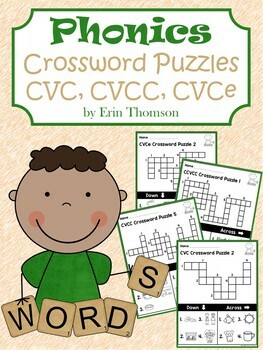 They can also be used during small group time, seat work, or for homework. Students will look at the picture and determine the word, then follow the directions (down or across) to write it in the crossword puzzle. They need to use their knowledge of spelling patterns to decipher and spell each word. 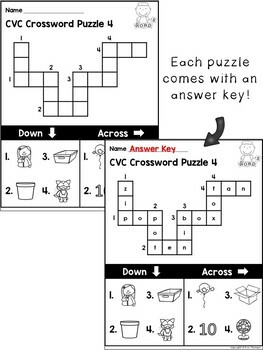 An answer key for each puzzle is included. *I use many of the same pictures for different word work activities in my classroom, so my students are familiar with the words for each picture. I tried making the pictures as easy as possible, however some students may need help determining the word for the picture. If you found this product useful to you and your students, please leave some positive feedback! If there was an issue with this product, please let me know so I can try to solve the problem. Please follow my store so you can see more of my work as it is posted. All new products are 50% off for the first 48 hours!